Thousands of weeping supporters followed the hearse as it crawled from the military hospital where Chavez passed away to the Military Academy of Venezuela. 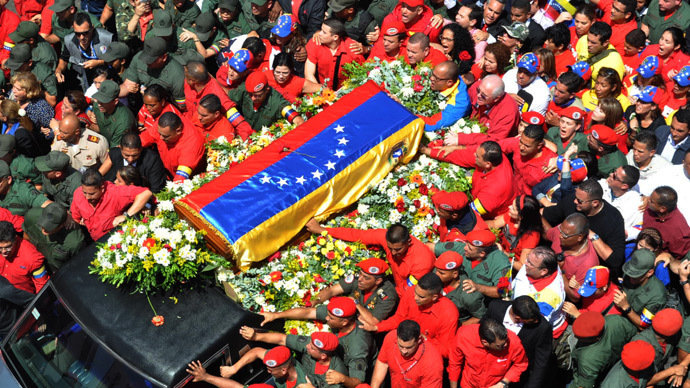 Huge crowds lined up to bid a final farewell as his body was placed in half-open casket draped with the Venezuelan flag. 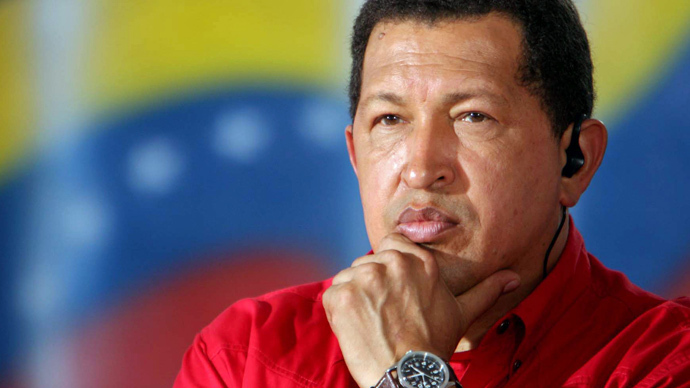 Hugo Chavez died on March 5, following a long battle with cancer. The head of Venezuela's presidential guard said Chavez died of a massive heart attack after a long period of suffering. The general was with the Venezuelan leader at the time of his death, he told AP. General Jose Ornella indicated that Chavez’s last words were the mouthed: "I don't want to die. Please don't let me die." Chavez’s hand-picked successor Nicolas Maduro walked with a sober face alongside the car. He was accompanied by the late president’s staunch ally, Bolivian leader Evo Morales. Other close Latin American allies, including Argentine President Cristina Kirchner and Uruguay’s Jose Mejica, had already arrived in Caracas ahead of the state funeral, which is to take place on Friday. Grieving family members, top officials and the foreign leaders attended a funeral Mass before Chavez’s open coffin. Balloons representing the colors of the Venezuelan flag were released outside the military academy as people chanted: "Chavez lives, the struggle goes on." Flamboyant socialist leader Hugo Chavez, who led the so-called Bolivarian Revolution, passed away at the age of 58 on Tuesday following a two-year fight against cancer and a severe respiratory infection. 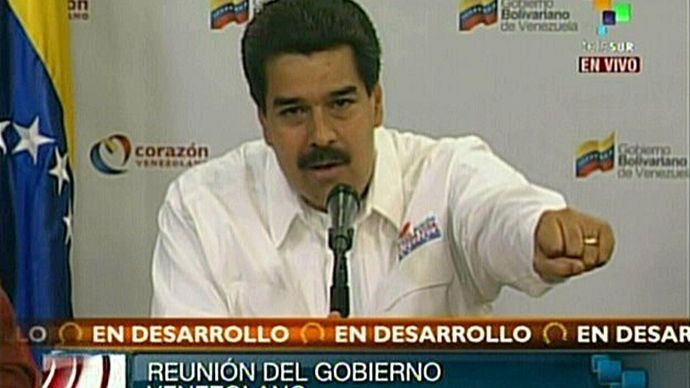 His Vice President Nicolas Maduro has temporarily taken over and, with elections due to be called within 30 days. Defeating opposition leader Henrique Capriles, Chavez had been reelected last October for his fourth term but was almost absent from political life due to his battle with cancer. 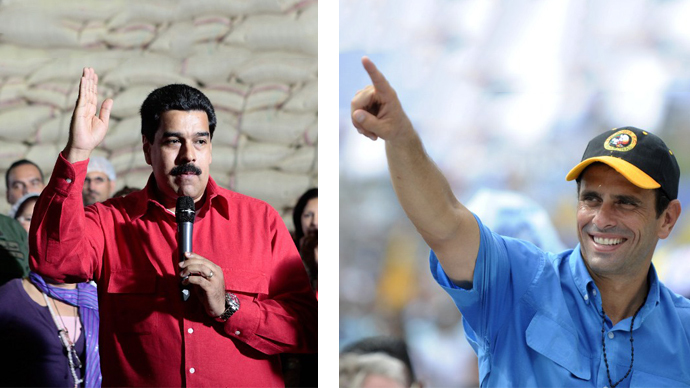 Now the country braces for new heated election, the outcome of which will determine whether a change in leadership will challenge the order established by Chavez’s revolution. 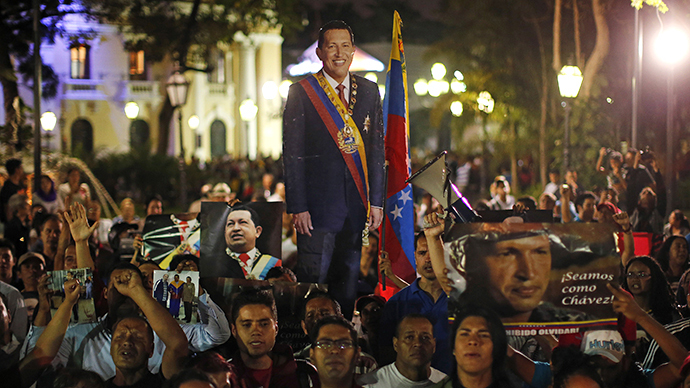 Now the country is braced for new hotly-contested election, the outcome of which will determine whether a change in leadership will challenge the order established by Chavez’s New Bolivarian Revolution. “We are going to see a very heated election and any intervention on the part of the US would be taken as hostility towards Venezuela and would play into the elections,” Latin America expert Miguel Tinker Salas told RT. Gregory Wilpert, co-founder of Venezuelanalaysis.com, is convinced that Nicolas Maduro is set to win the election as polls show that 55 against 36 per cent of the population back him. He argues that throughout most of Chavez’s rule the country witnessed continuous economic growth. “Certainly there’s a problem in inefficiency in public administration, but that’s a chronic problem that’s been around since before Chavez. And claims that Chavez has somehow made this worse I don’t find believable… a lot of things have been repaired and a lot are in better shape than before,” he told RT.